Blogging should not be an add-on, not an isolated project, but should be seen as PEDAGOGY. The strategies, techniques, and approaches that teachers can use to facilitate learning. 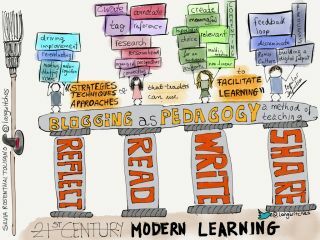 How are you using blogging as a strategy, a technique and an approach to facilitate learning? Let’s make it visible for others contemplating blogging with their students?